On April 20, 2010 a farmer found the body of 29 year old Luke Schuman in a field near the area of E. 327th and S. Lone Tree south of Harrisonville. 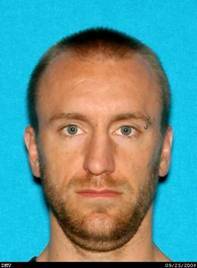 Schuman was reported missing from Harrisonville on January 3. One year after his disappearance, Cass County Detectives are asking for the public’s help in the 2010 investigation of Schuman’s death. Detectives are close to exhausting all leads. Anyone who has information or who had contact with Mr. Schuman the day of Jan, 2, 2010 or anytime after that is asked contact the Cass County Sheriff’s Office or the tips hot line.